I think we must have watched two different debates on TV. Actually, I think we may just be of different political persuasions and have viewed the debate with preconceived notions, but I am hoping to enlighten you and your readers with just a brief comment. I primarily disagree with you about the education policy of the SaskParty as they were the first party to address the "brain drain" of our graduating young people with tax relief for four after graduation from any post secondary institution here in the province. As to the debate format, I do agree that reasonable people will behave in an unreasonable manner when placed in an unreasonable situation, but I disagree that anyone can be criticised except for the media, who did fail miserably with regard to the lack of moderation of the event. At the same time each of the Leaders agreed to the format and agreed to attempt to function within those parameters so they in essence made a poor "group decision" in my humble opinion and that would be all it amounts to. It would certainly not be the first time the media let the public down with regard to providing good election coverage. I also disagree with your personal opinion of the leaders goals and performance. Mr. Calvert was the candidate who asked the others to let him speak the most often before he simply continued in the same manner as the others, nothing more than that as far as manners went. Mr. Karwacki made several good criticisms of the NDP but failed to demonstrate a Liberal platform of any depth or scope. 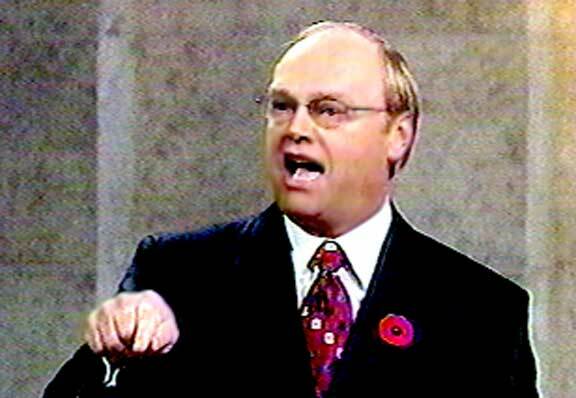 Mr. Hermanson had no choice but to dispute the "NDP misinformation" of the campaign and the debate with vigour and he did that in spite of the fact that his microphone was turned off for an extended period of time. In summary my observation was that Mr. Calvert simply replayed that old broken record of having a new, long term plan for everything but failing to make the connection that the NDP have had a new study and a new plan every couple of years because they have never had a plan that worked! Mr. Karwacki is a good speaker and pointed out many of the NDP shortcomings. He also disagreed with the SaskParty but unlike Mr. Calvert he simply disagreed that their plan for lowering of various taxes would not work - he did not invent bizarre imaginary dollar figures to back up his opinion. Mr. Hermanson stuck to the party line, he participated to a comparable degree in the format in spite of itself as did the others and I thought he countered with a good solid knowledge of the dollar figures and the issues. As for the ATCo issue being a non-debate/old news issue I again disagree. This a hot current topic that we have not heard the last of and we will shall see about that, hopefully before the 5th.